I am SO happy to be back with you with a new episode this week. Today’s podcast is a conversation with Sheryl Sitts of Journey of Possibilities. 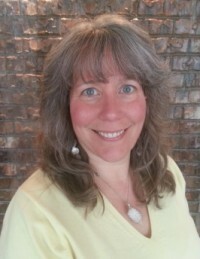 Sheryl is empowers clients toward more holistic, spiritual living (personally and professionally) using ONE-TLC Transformational Life Coaching, Reiki Drumming & Toning, and connection to community thru her weekly show, digital magazine, and gatherings. The Cosmic Serpent, by Jeremy Narby. Learn more about Sheryl on her website: Journey of Possibilities. Thank you so much for being on the show Sheryl! Photo of Peru by Sandeepa Chetan. Used under a Creative Commons License. I’ve been putting the finishing touches on our syllabus, workbook and resources for our upcoming Whole Yoga Immersion, which begins on September 21. We will be learning a process for engaging with traditional texts and for bringing your yoga practice into your real life, using the Yoga Sutras as our guide. THIS IS FOR YOU! YOU DO NOT NEED TO KNOW ANYTHING before beginning. Learn more here. FOLLOW YOUR RISE! Our retreat in Sedona, Arizona is coming right up! I have been making gifts for our participants and getting so excited to be together. SAVE $90 by booking the RETREAT & the IMMERSION together. Registration is open. The WILDCAT YOGA CLUB is coming. Stay tuned. Let’s practice together on YOGA ANYTIME! Yoga Anytime is an online yoga studio featuring a library of yoga videos from a diverse and experienced family of teachers. You can practice for free for 30 days by using the code MAGIC upon signing up. Here is a link to my videos on Yoga Anytime.